Dedicated to all of your Real Estate Needs! Pam was amazing to work with as a real estate agent. She is great and I HIGHLY recommend her to anyone looking to buy a home. Pam made the home buying process for me so easy! Highly recommend working with Pam, she will take great care of you. She is excellent with all the details and paperwork, and she is a fun and kind person as well. HIGHLY RECOMMENDED. Pam is extremely dedicated to her clients! She helped us find a home that fits us, plenty of room for all the children and a yard! Top notch and goes above and beyond the bar. She is honest, committed, dedicated, and articulate. She will take good care of you. Pam has always exceeded expectations and is an amazing "people person". 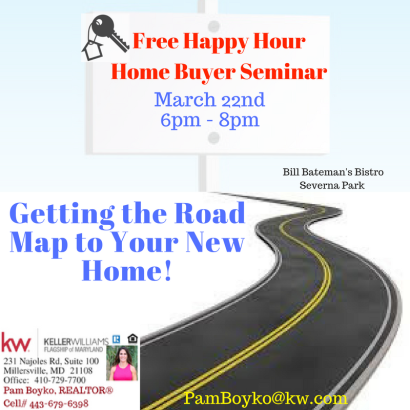 Get your Buying Power at this Free Happy Hour! Updated: 23rd April, 2019 4:09 PM.